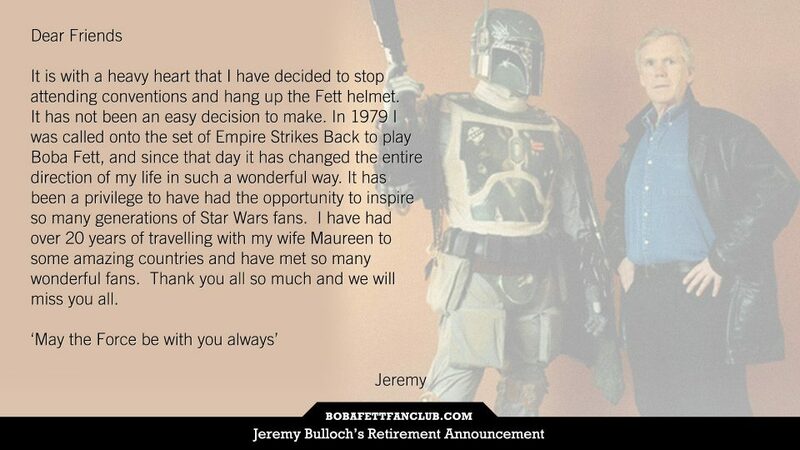 It seems a legendary bounty hunter is now ready to hang up the helmet. Jeremy Bulloch, who is best know to Star Wars fans as Boba Fett, has announced that it is now time for him to bow out and retire from the convention circuit. 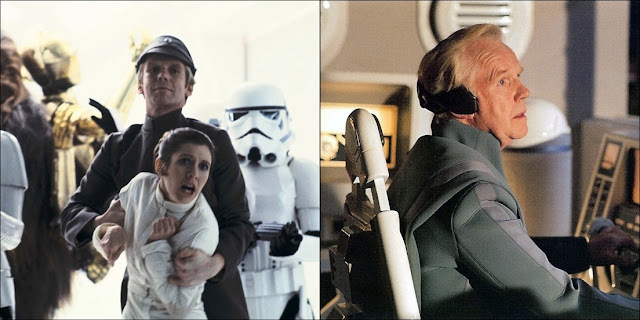 In addition to being the man under Fett's helmet in The Empire Strikes Back and Return Of The Jedi, Bulloch also portrayed Lieutenant Sheckil in Empire, and later returned to Star Wars to portray Alderaanian captain Jeremoch Colton in Revenge Of The Sith. Bulloch additional screen credits include roles in Bond films, Robin Hood and Doctor Who. 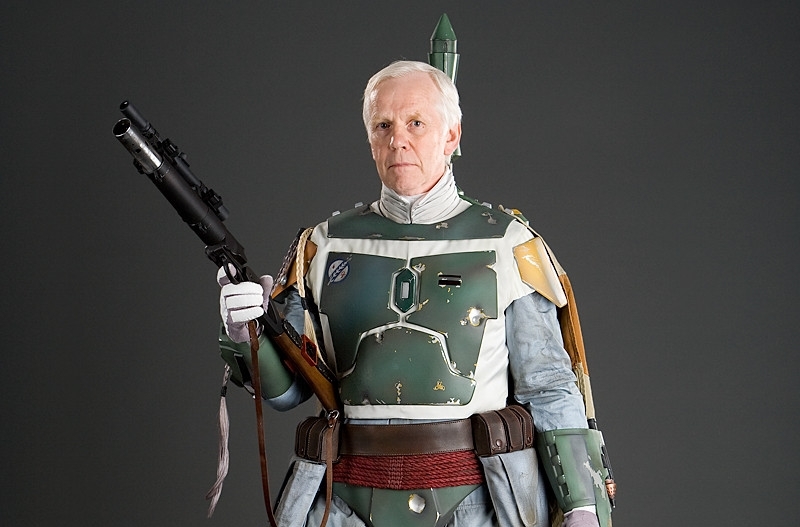 Jeremy Bulloch's absence from future conventions will be greatly felt. His portayal of Boba Fett in the Original Trilogy made him a legend, and his consistent public appearances made him a favorite among fans. May the Force (and greatly earned rest) be with him in his retirement.